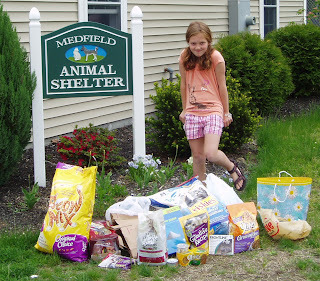 For her 10th birthday, Abigail Darmofal requested that friends and relatives donate money or items from the Medfield Animal Shelter's wish list instead of buying her gifts. Abigail stopped by recently to drop off the money and items she collected. What a great kid!